Today’s episode is sponsored by Care.com, the world’s largest digital marketplace for finding and managing care for everyone in the family. Today’s episode is also sponsored by Audible, a leading provider of premium digital spoken audio information and entertainment on the Internet. For exclusive deals from our sponsors, tune in to our episode! Happy New Year! After a profoundly restful three-week break, we’re back and full of ideas + we have a BIG announcement. 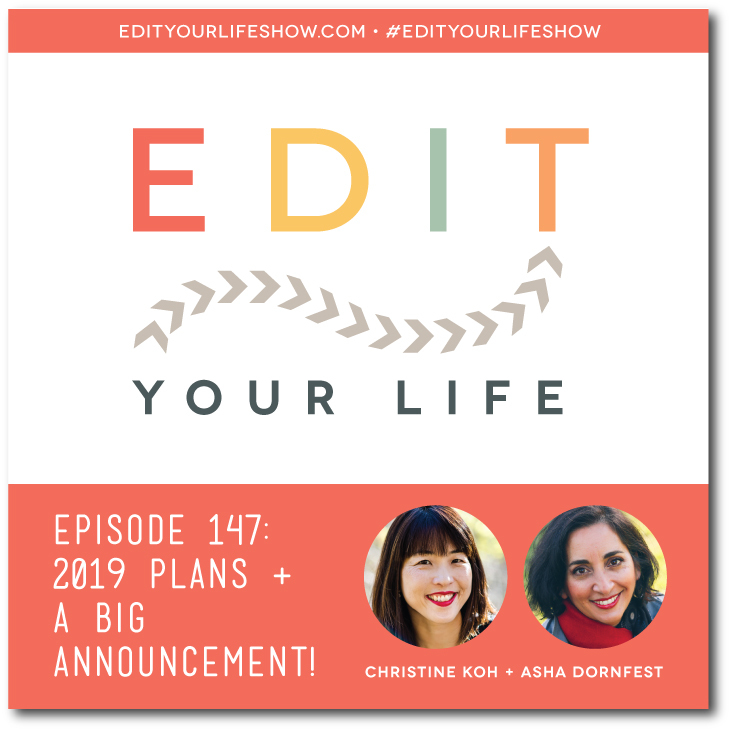 In Episode 147 of the Edit Your Life podcast, Christine and I recap our holiday breaks and share some unexpected discoveries that came with time away. We also share the results of our 2018 Listener Survey (which will help inform our 2019 podcast plans). Finally, we announce a big new interactive project for 2019: the Edit Your Life 21-Day Productivity E-Retreat! Register now for our new 21-Day Edit Your Life Productivity E-retreat! **2-DAY FLASH SALE 1/17/19-1/18/19 $15 (regular price $21).